Flash Sale (Only 4 Hours! 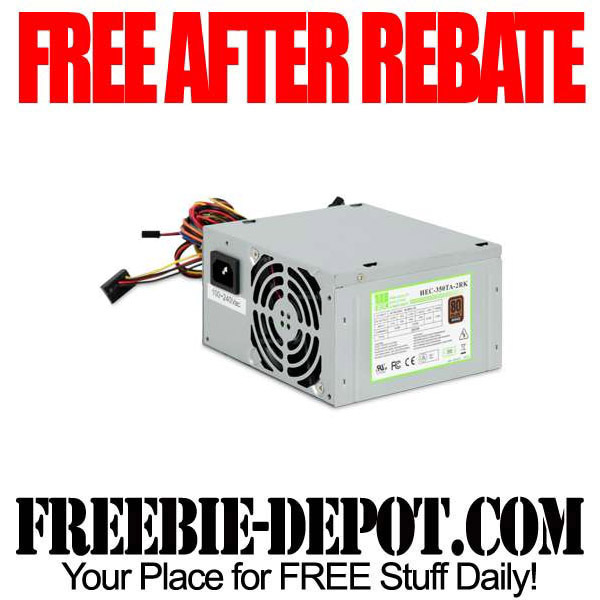 ): HEC 350W Power Supply, 80+ Bronze – FREE after $10 Coupon Code RDM97342 and after $15 MIR. Sale ends at 4pm Eastern Standard Time – Extended through 8/9/13 so if you are thinking about it, don’t wait! Buy it now! List Price is $29.99 less Instant Savings of $5.00 = $2499 less Coupon of $10.00 Less Rebate of $15.00 = FREE! Might be able to sell it on eBay for some FREE cash!